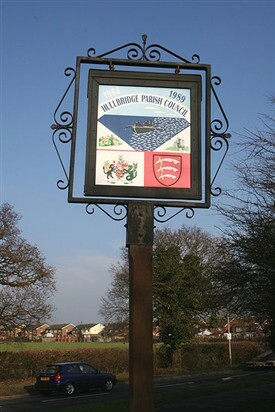 "I was born in Hullbridge in March 1964. My parents had moved to Mapledene Avenue in 1963. It was a brand new house. The plans showed it to be part of the Hilltop Estate and the road was provisionally called Riverview Gardens but perhaps the name was changed when it was apparent that the River Crouch was not visible from the properties! On the day I was born my father took my 3 year old brother round to Pellings in Ferry Road to buy him something to keep him amused. He bought a second hand wind up gramophone complete with 2 records. My mother spent her labour listening to repeat after repeat of “Kiss me, Sugar Sugar, Kiss me...” The midwife who delivered me was called Mrs Dark and she enjoyed a dinner, cooked by my Dad, after I was safely born. I was christened in September 1964 at the Hullbridge Free Church on Lower Road. My mother was a nurse and she worked in the village surgery which was attached to the house owned by the Doctors Kendall in Ferry Road. She worked there for a number of years eventually moving into the purpose-built surgery further along Ferry Road. We often had callers at the door asking for her advice out of surgery hours. I remember going to a play-school in the village hall during the 1960s. My mother would drop me off there before going to work at the doctors’ surgery. I also remember attending dancing classes at the Miss Elizabeth School of Dancing which were also held in the village hall with a very patient man playing the piano for Miss Elizabeth. There were various shows produced by Miss Elizabeth and I remember a dressmaker in the village called Mrs Duro making a lot of the outfits. I have a hazy memory that Mrs Duro was also involved with the play-school. I started at the Riverside Primary School in 1969. I can remember that my Dad was part of a team who built the swimming pool at the school. He had a cine film of the volunteers digging out the pool and was very committed that all the children living in a village with a river running through it should learn how to swim. I had very happy times at the school before moving to the Park School in 1975. I remember various teachers including Mrs Spicer, Mrs Fairbrass, and of course the headmaster Mr Hardy. I enjoyed cycling and walking around the village as a child. I remember several unmade roads with lots of chalets and caravans rather than conventional houses. In one of the caravans lived Beattie, a dwarf who worked in the post office. I seem to remember that Anthony Armstrong-Jones came to the village to make a documentary about dwarves, featuring Beattie, which was shown on TV. I presume he did the same to all the children! Another shop I remember going to was Mrs Wortley’s. She sold wool, shoes, and clothes among other items. Mrs Wortley was also a leading light with the Brownies and Guides and I can remember attending both of these groups at the Church Hall in Thorpedene Avenue. I presume that the Church and Church Hall were built in the late 60’s or early 70’s as I don’t have earlier memories of them. I have already mentioned Pellings in Ferry Road which sold second hand furniture and riding clothes. Catering was limited to Ferry Fisheries and The Anchor Pub in those days – I can’t remember anywhere else which served food or drink. The river was a major source of pleasure for our family. My Dad built a Mirror Dinghy in the garage and then joined Hullbridge Yacht Club. We all learnt to sail and spend many happy hours on the Crouch. In conclusion, I have happy memories of growing up as a child in Hullbridge. It felt safe and secure and we had freedom to cycle around the streets, visiting friends, and having fun." This page was added by Helen Barnard on 18/05/2011. The owner's name of the Mayfield was Swinscoe. I was the first resident to move into Kendal Close in 1957. It was a real village then. I believe we were one of the first roads to be made up (the builder did it). It cost us £2,000 for a two bed roomed bungalow. I loved the village hall, it was the heart of the village. Everything went on there including Family social nights, once a month on Saturday evening. We took our own refreshments/drinks. The music was played on a record player. The children used to be very excited about going. I think once it was sold off and the new Community Centre got built, we stopped being a village. My Mother's name was Betty and we did live at 25 Mapledene Avenue. During one harsh winter in Hullbridge the snow drifted and in the local paper it said how Beattie struggled often up to her waist in snow. They did not mention that Beattie was a dwarf! Good memories of Hullbridge. Was your mother's name Betty and did you live at 25 Mapledene? I lived at 35 until 1981 when I moved to Australia. The Mayfield was a private members club with a sweet shop attached. I remember going there after rehearsals with the Hullbridge Players,an amateur drama group run by Barbara Morley, and we put on several plays in the old village hall in the 1960s. "The Mayfield" was a club,(sometime in the 1950's, if I remember correctly). I think the owners name was Ernie .....(but can't remember the surname). With my group of friends I used the club at times. (when we were not in "The Smugglers" R,F.D......... P.S. Ernie's surname may have been Swinscote?.